YMAA Publication Center was established so that Westerners could access the profound Oriental developments of qi, martial arts, and spiritual cultivation. As one of the pioneers in this exchange, YMAA will continue to mark the path between East and West. It is our hope that this path will help lead to a new, benevolent society. Dr. Yang, Jwing-Ming (楊俊敏博士) started his Gongfu (Kung Fu) training at the age of fifteen under the Shaolin White Crane (Bai He) Master Cheng, Gin Gsao (曾金灶). In thirteen years of study (1961-1974) under Master Cheng, Dr. Yang became an expert in the White Crane style of Chinese martial arts, which includes both the use of bare hands and of various weapons such as saber, staff, spear, trident, two short rods, and many others. With the same master he also studied White Crane Qin Na (or Chin Na), Tui Na and Dian Xue massages, and herbal treatment. At the age of sixteen, Dr. Yang began the study of Taijiquan (Yang Style) under Master Kao, Tao (高濤). Dr. Yang's tai chi can be traced back to the Yang family through Master Kao's teacher Yue, Huanzhi (樂奐之), an indoor disciple of Yang, Chengfu (楊澄甫). After learning from Master Kao, Dr. Yang continued his study and research of Taijiquan with Master Li, Mao-Ching (李茂 清) and training partner Mr. Wilson Chen in Taipei. Master Li learned his Taijiquan from the well-known Master Han, Ching-Tang, and Mr. Chen learned his Taijiquan from Master Chang, Xiang-San. Dr. Yang has mastered the Taiji barehand sequence, pushing hands, the two-man fighting sequence, Taiji sword, Taiji saber, and Taiji Qigong. Yang's Martial Arts Association was established in Boston, MA in 1982. With the intent of preserving traditional Chinese Kung Fu and Qigong , Dr. Yang, Jwing-Ming began training students in the rigors of Shaolin Long Fist and White Crane Gongfu as well as Yang Style Tai Chi Chuan. Currently, YMAA is an international organization, including 56 schools in Argentina, Belgium, Canada, Chile, France, Holland, Hungary, Iran, Ireland, Italy, Poland, Portugal, Spain, South Africa, the United Kingdom, and the United States. In the early 80's, Dr. Yang wrote several books, published by Unique Publications. In 1984, Dr. Yang retired from his engineering career, to undertake his life-long dream of teaching and researching the Chinese arts and introducing them to the West through many books, videos and DVDs. Founded in 1984, YMAA Publication Center has published many of Dr. Yang's groundbreaking books and videos, and is a pioneer in the cultural exchange between the East and West. While the West has successfully developed the material sciences, the East is celebrated for its levels of spiritual cultivation. During this ongoing period of exchange, the building of bridges is critical for the successful integration of the achievements of both societies. His books and videos have been translated into French, Italian, Spanish, Polish, Czech, Dutch, Bulgarian, Russian, Hungarian, Portuguese, Croatian, German, and Farsi. Throughout the year, Dr. Yang travels between YMAA International Branch and Provisional schools worldwide. He also frequently travels within America and around the world presenting lectures and seminars on Chinese martial arts and Qigong. He has visited Argentina, Austria, Barbados, Botswana, Belgium, Bermuda, Canada, China, Chile, England, Egypt, France, Germany, Holland, Hungary, Iran, Ireland, Italy, Latvia, Mexico, Poland, Portugal, Qatar, Saudi Arabia, Spain, South Africa, Switzerland, and Venezuela. 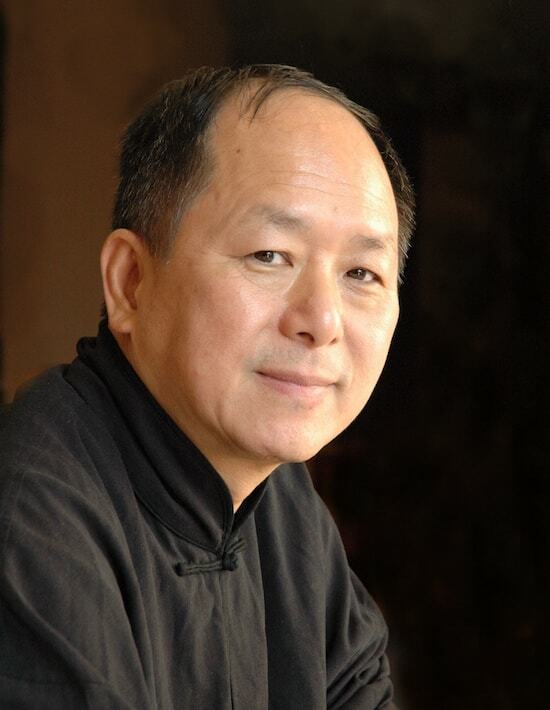 Dr. Yang has published over 35 books and more than 50 videos on the martial arts and Qigong. Currently he is president of Yang's Oriental Arts Association, Boston, MA. Since 2004, Dr. Yang has worked to develop the nonprofit YMAA Retreat Center, a training facility in Humboldt County, CA, where he is training a select group of students in a comprehensive 10-year program. He continues to offer seminars, in California, Boston, and around the world.